Mr. Tritico is licensed to practice law in the State of Texas and before the United States Court of Appeals for the Fifth and the Tenth Circuits, and the United States District Court for the Southern and Eastern Districts of Texas . He is a member of the State Bar of Texas, The National Association of Criminal Defense Lawyers, The Texas Criminal Defense Lawyers Association, The Harris County Criminal Defense Lawyers Association, and The Houston Bar Association. Mr. Tritico was named one of the Top Lawyers for the People by H Texas Magazine in 2005-2009. Mr. Tritico has practiced criminal defense his entire career. He has handled cases in both state and federal courts; cases ranging from environmental law to capital murder. Mr. Tritico has represented notable athletes such as Moses Malone, former Houston Rocket, Gary Sheffield, All-Star third baseman for the Florida Marlins and Julio Lugo, former Houston Astro. In 1997 Mr. Tritico was one of the trial lawyers who represented Timothy McVeigh in the Oklahoma City Bombing Case. Since 1988, Mr. Tritico has represented the Houston Federation of Teachers; with more than 5,000 members it is the largest teachers' union in the State of Texas . 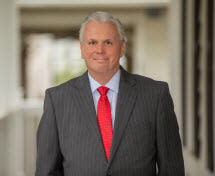 Mr. Tritico has represented the rights of union members at administrative trials before a Certified Hearing Examiner, the Board of Education for the Houston Independent School District , and the Texas Education Agency. In addition to the Houston Federation of Teachers Mr. Tritico represents the Employee Federation of North Harris Montgomery Community College District. Further, he has represented teachers' interest in both criminal district court and civil district court in Harris County, Texas. Mr. Tritico began his career as an associate of famed attorney Richard Racehorse Haynes. After leaving Mr. Haynes' office in 1994, Mr. Tritico started his present firm Tritico Rainey PLLC in 2011. A regular speaker to the Houston Federation of Teachers and other groups, Mr. Tritico has presented workshops in areas such as administrative rights and techniques for avoiding false allegations of child abuse. Mr. Tritico authored an article entitled Investigative Techniques Every Lawyer Should Know. In 1997 he authored Teacher Contracts and the Hearing Process: The Road to Victory The Houston Lawyer, March/April 1997, Vol. 34, No.5 and in 2008 he authored Collision Course: When Criminal Law and School Law Meet Voice for the Defense, October 2008, Vol 37, No. 8. Mr. Tritico has appeared on Good Morning America, World News Tonight, Night Line, CBS Evening News, Meet the Press, Dateline NBC, 20/20, CNN, Fox News Channel, Court TV and others both nationally and internationally. Mr. Tritico is the legal analyst for and host of The Chris Tritico Show on News Radio 740 KTRH. In addition he is the legal analyst for Fox 26, KRIV in Houston.